Valencia is a city located directly on the Mediterranean Sea in the very east of Spain. With a population of 800,000 within the city and 1.8 million in the greater city area Valencia is the third largest city of “the land of the setting sun". 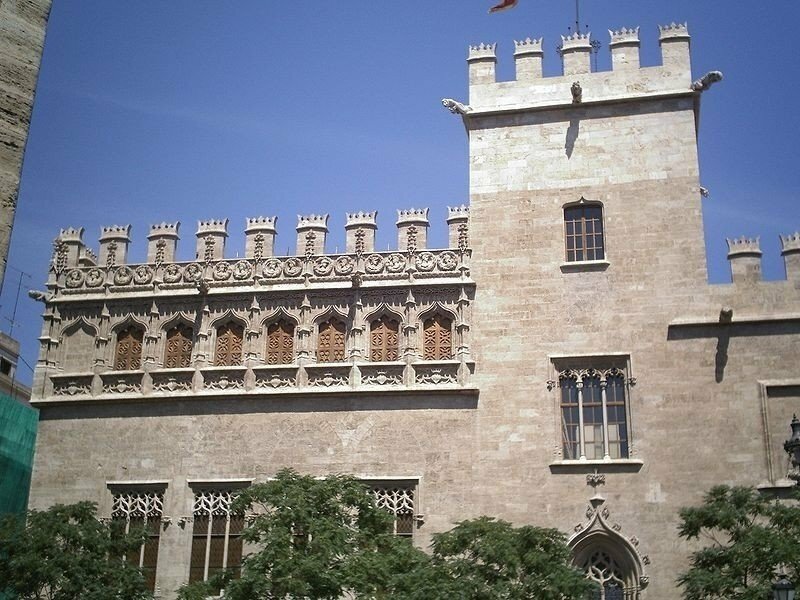 La Lonja de la Seda, the silk exchange, is a central trading venue from the 15th and 16th century. Due to the building's unique late Gothic style of architecture, the edifice became a listed UNESCO world heritage site in 1996. It basically consists of one large trading hall, a tower, which was also partially used for bankrupt traders, and an orange garden. Nowadays, Valencia's academy of culture is accommodated here. The building is also occasionally used as a venue for many events and exhibitions. La Lonja was constructed in the late 15th century, from 1482 until 1498. Initially, only oil was traded here, but with a huge maritime port on-site, many other products became very quickly a trading commodity too. 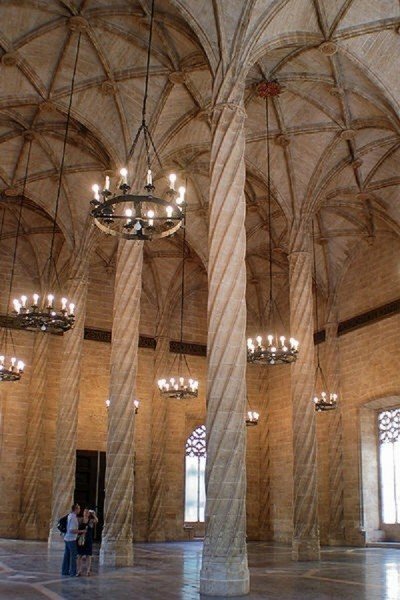 Based on the tradition of trading with silk, the building was named La Lonja de la Seda. 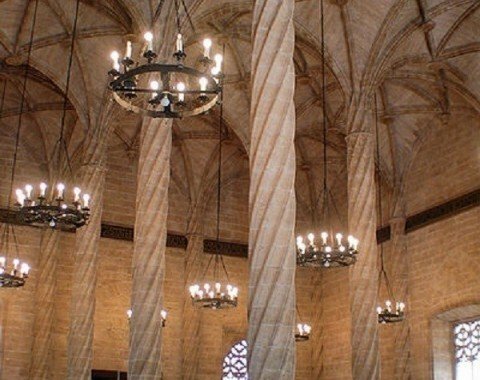 La Lonja is centrally located in the heart of Madrid, not far from the former riverbed of the Tulia. Sited at the square Plaza del Mercado, still a trading and market place, nowadays, together with Mercado Central, it is one of the largest market places in Europe.